Axis & Allies celebrates 25 years of strategy war gaming with a deluxe edition of its original theater-level game. 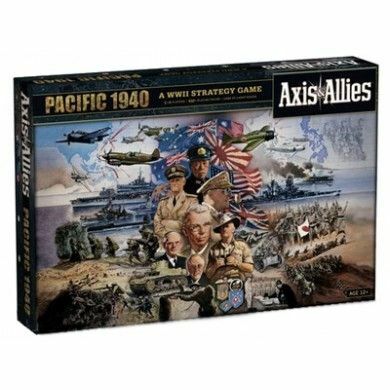 Axis & Allies Pacific 1940, designed and developed by Larry Harris, utilizes the updated rules established in A&A Anniversary Edition. Two new combat units debut in this game, Tactical Bombers and Mechanized Infantry. 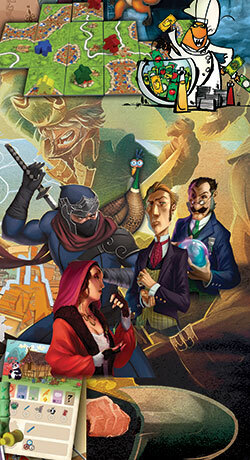 Australia and New Zealand, joined together as the ANZAC forces, represent a new playable ally. China fields more forces than ever before, but will need help from their allies -- the United States and England -- to withstand the might of expansionist Imperial Japan.\n\nAxis & Allies Pacific 1940 features an oversized board that measures 35 inches wide by 32 inches high (89 x 81 cm). With over 450 pieces, deluxe game components and local storage boxes, this game raises the standard established by A&A Anniversary Edition. All new rules for neutral nations, naval & air bases, kamikaze attacks and convoy disruption add even more depth and historical accuracy to this giant game.\n\nFinally, this deluxe theater-level game is designed to join together with Axis & Allies Europe 1940 to create the greatest Axis & Allies experience to date! When joined, these boards will measure 5 feet wide by 32 inches high (178 x 81 cm). 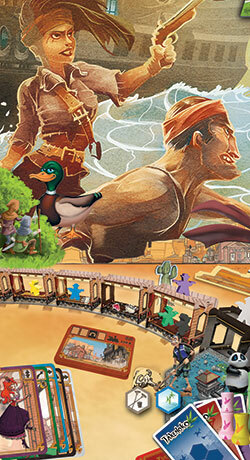 Both games have been designed to play alone or together to offer a 2-6 player global 1940 scenario, complete with separate set up and national objectives.